What will drive voters, dismay over Trump or dislike of outgoing governor? Neil Covert wants to replace Connecticut’s outgoing Democratic governor, Dannel Malloy, with a Republican who will not propose higher taxes or tolls on the state’s highways as a way to tackle the state’s financial problems. On Tuesday, the 49-year-old Kent resident will vote for Bob Stefanowski, who is in a tight race against Democrat Ned Lamont. Stefanowski says he will phase out the state income tax over eight years and other taxes immediately, proposals Lamont argues would drive up the need to raise property taxes. 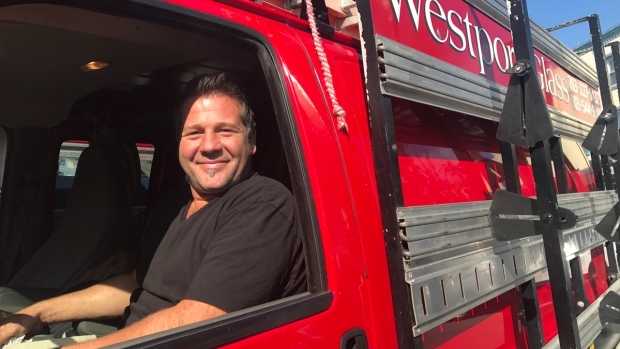 Covert, who works for Westport Glass Co., knows that the Democrats have been trying to link Stefanowski to President Donald Trump, but says the strategy makes little sense, nor does it faze him. He likes Trump. 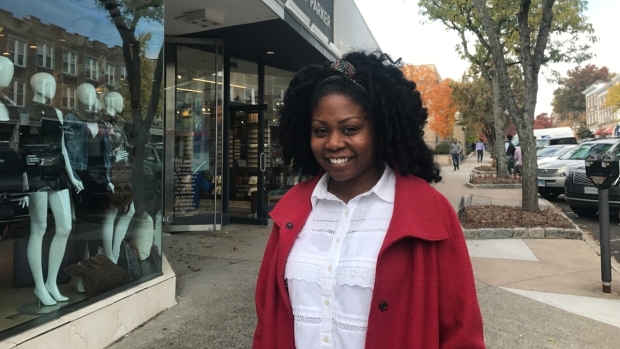 But for Patrice Yachkoff, a 39-year-old stylist for a store in Greenwich, Trump is key to her decision this year. 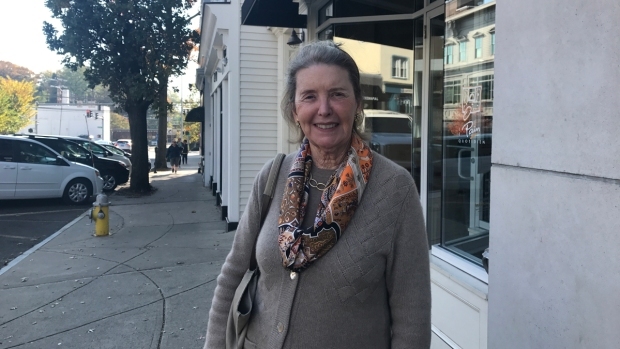 She will vote for Lamont, both because of his ideas — she is open to tolls on out-of-state trucks traveling through Connecticut as Lamont favors — and her opposition to Trump. “I would never vote for anybody that agrees with Trump,” said Yachkoff, who lives in Norwalk. The political strategies at play add up to a tug of war between Republicans focused on dislike for Malloy and Democrats hoping to capitalize on low regard for President Donald Trump. Stefanowski has repeatedly tried to link Lamont with his fellow Democrat, among the most unpopular governors in the country, if not the most unpopular. More seriously, he criticized the effects of the GOP-led tax reform on Connecticut residents and predicted damage from Stefanowski's economic proposals. Governor races are typically about local not national issues, but Trump’s is not a typical presidency and the divisiveness surrounding his administration is affecting politics at all levels. Connecticut’s troubled economy is looming large, but so is the president. In one campaign video, for example, Lamont is seen talking to a crowd about women's rights, abortion rights -- and Trump. "None of these are state issues," said Scott McLean, a political science professor at Quinnipiac University in Hamden, Connecticut. "They don't have to do with the state issues that voters tell us they care about, which is the economy and taxes, schools. It's all about linking the Republicans in Connecticut with what's going on in Washington." But if Republicans are successful, Malloy’s struggles with the state's economy will reflect on Lamont no matter that Lamont and Malloy are not political allies, that Lamont challenged Malloy for the 2010 Democratic nomination for governor and that Lamont, like Stefanowski in fact, has never served in state government. "Lamont has not been part of the Malloy administration, the Malloy team, so he can say that there is some distance between him and the governor," said Ronald Schurin, an associate professor of political science at the University of Connecticut. "The Republicans will say, 'Well, it's a difference without a real distinction. They're both Democrats." Registered Democrats outnumber Republicans in the state 5 to 3 and the midterm elections could draw large numbers of voters dismayed with Trump's behavior. Against the Democrats' hopes of Connecticut remaining blue as a "blue wave" sweeps the country is the state's history of electing Republicans, John Rowland for three terms as governor (though he was later twice convicted on federal charges and went to prison) and then his lieutenant, Jodi Rell in 2006. “There is an atmosphere that it’s possible and a history of it happening so in that sense it’s good for the Republicans but the challenges are difficult,” said Matthew Hennessy of Tremont Public Advisors, a Connecticut lobbying and public affairs firm. The Cook Political Report classifies the governor's race as a toss-up, and says the seat is one of two that are at risk among the nine that Democrats are defending. “Connecticut is a solidly blue state which inherently favors Democrat businessman Ned Lamont, but voter dissatisfaction with the direction of the state may help GOP businessman Bob Stefanowski exceed expectations,” it wrote. A Sacred Heart University/Hearst Connecticut Media poll released Thursday showed Stefanowski ahead, 40 percent to 38 percent for Lamont. A recent one from the Quinnipiac Poll found that Lamont was ahead 47 percent to 43 percent. Both leads were within the margin of error. An independent candidate, Oz Griebel, was polling in the single digits. A top issue for most voters is Connecticut’s financial woes, the $4.6 billion deficit projected for the upcoming two-year budget. It is one of the few states that hasn’t recovered all of the jobs lost during the 2008 recession, a report issued in July found. A loss of manufacturing was the largest cause for the drop in the state’s economy. For 77-year-old Carolyn McGrath, the state’s fiscal problems are a top concern. Malloy has driven the state into a financial hole, sending home prices down, she said. Stefanowski, unlike Malloy, understands financial issues, she said. Stefanowski, 56, is a former business executive who worked for General Electric, 3iGroup plc, UBS and Dollar Financial Group and who now lives in Madison. He has focused on reducing taxes — phasing out the state income tax, corporate income tax and business entity taxes and eliminating the gift and estate taxes — and cutting state spending. But he also has an A from the National Rifle Association, in a state that was devastated by the Sandy Hook Elementary School shooting, and has refused to clarify his position. Democrats have been trying to use the high rating against him, arguing that he will try to roll back the legislation passed after the shooting that Lamont says he will protect. Lamont, 64, who lives in Greenwich, is an entrepreneur who built a telecommunications business. He beat former U.S. Sen. Joseph Lieberman in 2006 in the Democratic primary, before losing in the general election to Lieberman, who ran as an independent. He is emphasizing job training, transportation improvements and tolls on tractor-trailers traveling on Connecticut's highways. 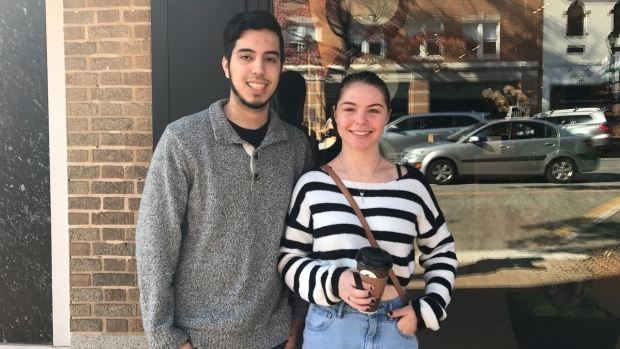 Two students at Norwalk Community College — Victoria Rosenblum, 20, of Greenwich, Kevin Ostos, 22, of Stamford — were as focused on national issues as on local issues: The Paris Agreement on climate change, student loans, immigrants. They will be voting for Lamont. They both work at a kennel, she as a dog walker, he was an attendant. Ostos said Trump represented the parts of the country resistant to change — more accepting of immigrants and of rights for the transgender community, for example.